Durbar Square located at the Basantpur in the old Kathmandu. Durbar Square of Kathmandu is also known as the seat of royalty because the kings of Nepal used to this place for crown ceremonies and crowned here. It is one of the world’s Heritage Sites. Durbar Square is full with old temples.It consists Taleju Temple, Kumari Ghar,Ashok Vinayak Temples and Kal Bhairav Temple. The Durbar Square has been the city’s social, religious and main political point. 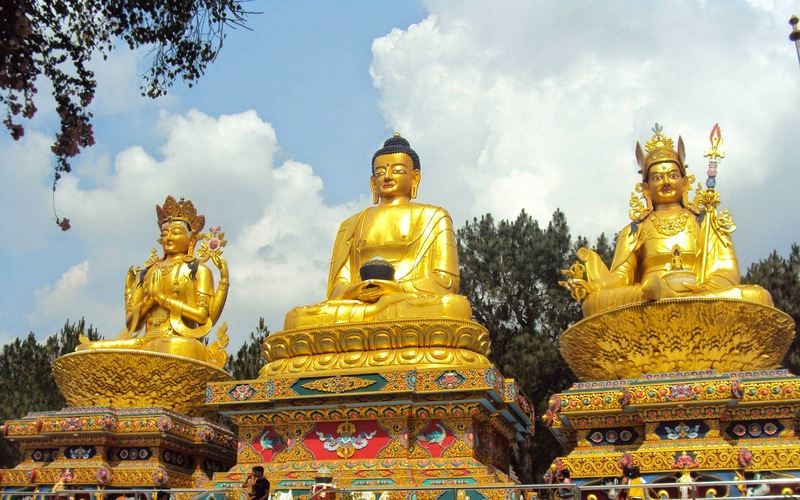 Swayambhunath Stupa is one of the most renowned Buddhist Monastery in Nepal. It is located on a hillock which is 77 m above the sea level. This Stupa is the oldest of its kind in Nepal and has numerous shrines and monasteries on its premises. It is around 2000 years old .The four side walls of stupa painted with the eyes and it is a belief that these eyes are seeing Lord Buddha. It is the oldest stupa and listed as a World Heritage Site by UNESCO. Pashupati Nath Temple is the holy place which is devoted to the Lord Shiva. It is located between the lush green lands on the bank of the holy river Bagmati.This temple built in the ancient pagoda style. It has a two tilted golden roof and beautiful silver door which makes it one of the beautiful and the holiest places for Hindus. Only the Hindus can enter into the temple, the other visitors can see the compound of the temple from the eastern bank of river Bagmati. This is also listed under UNESCO as a World Heritage Site. Boudhanath Stupa is the UNESCO World Heritage site and it is situated 8 km east of the city Kathmandu. Boudhanath stupa was built by the King Man Deva by the suggestion of the Goddess Maini Jogini. It constructed on an octagonal base inset with prayer wheels. This shrine is surrounded by houses of Lamas or Buddhist priest. Believed to house Buddha's relics, it is also one of the largest stupas in Asia. The best time to explore this stupa is early morning and dusk, when you can see the monks chanting their prayers and butter lamps being lit. Patan Durbar square is located in the middle of the city. It is the main temple and visitor attraction. This square is full of ancient temples, palaces and shrines, noted for their excellent carvings. The Patan Durbar square contains of three main chowks, the central Mul Chowk, Sundari Chowk and Keshav Narayan Chowk. It is listed in the UNESCO World Heritage site. Changu Narayan is the Hindu temple of Vishnu or Narayan,who is the protector of creation to Hindus. It is also an ancient temple, Infact it covers sixteen hundred years of Nepalese art history. This temple is constructed around the third century and decorated by the wood, stone and metal craft. Bhaktapur Durbar Square is the small city which is blessed with many sculptures, wood carvings, museums and wonderful pagoda temples. Bhaktapur Durbar Square is one of the wonderful architectural masterpieces of this valley and the best example of the ancient art of Nepal. 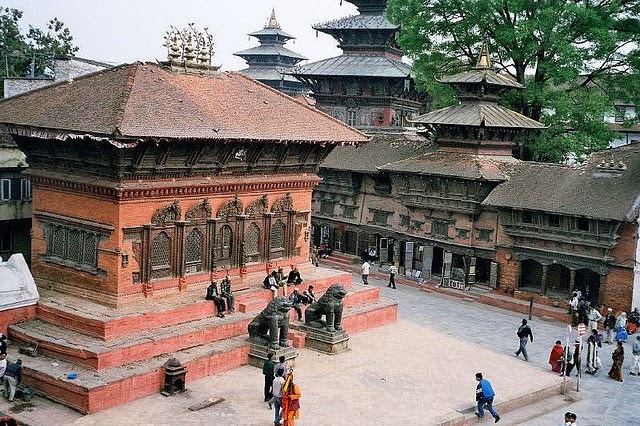 55 Window Palace, Golden Gate, Lion's Gate, Vatsala Temple,Mini Pashupati Temple, Nyatapola Temple and Bhairava Nath Temple are the major attraction of the Bhahkapur Durbar Square.It is also listed in the UNESCO World Heritage sites. 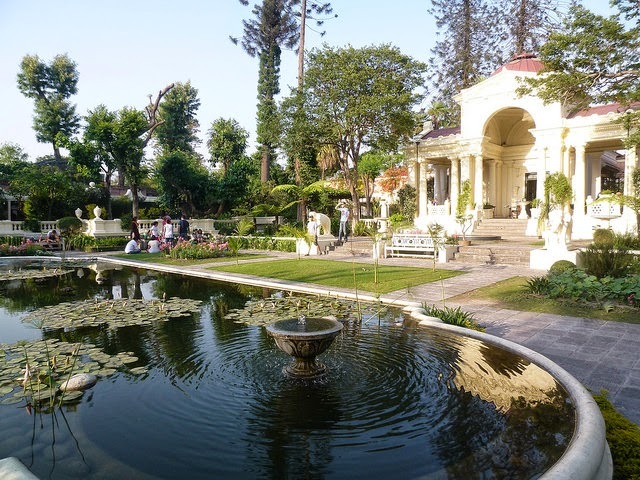 Balaju garden,Thamel,Dharahara, Garden of dreams,Budhanilkantha, Shesha narayan,Ashoka stupas, National Museum, Hanuman dhoka palace museumPatan Museum, the national art gallery and many other amazing places are the major highlights among the tourists. Kathmandu is a place which is full with ancient beauty and rich culture. After the modernization, Katmandu is a showcase of several sacred religious temple, stupas and places. Kathmandu is the perfect holiday place for each because it is has a complete package for entertainment like rich market, nightlife, historical places, temples, stupas, museums, gardens and many other things.